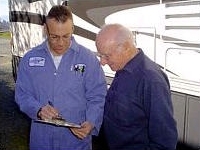 Motorhome RPA - Henderson's Line-Up Brake & RV Inc.
1.The customer fills out some paper work to begin the RPA. 2. 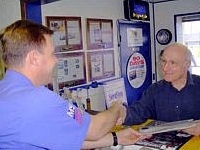 The technician completes a Pre-Inspection Form with the Customer. 3. 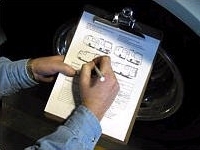 The technician records the problems and complaints about the coach on an extensive RPA Checklist Form. 4. Listening to the Customer is very important in gathering information about the coach. The coach owner has valuable insights and information to share. 5. 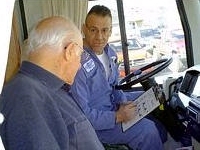 The Technician drives the motorhome on a 15 mile road test to duplicate any symptoms and evaluate the coach. 6. 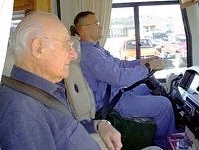 Highway driving is one road condition used to evaluate the coach. 7. 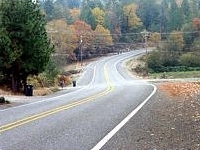 Curvy roads, ruts, uneven pavement, and sharp turns help point out the quality of ride, handling and control. 8. Customer & Technician weigh all four corners to check for balance in weight of the coach. 9. 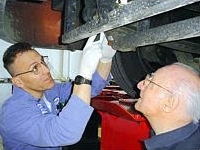 Over 50 plus points of inspection underneath the motorhome chassis are reviewed with the customer. 10. The customer is given the completed RPA form and an explanation of the problems and solutions needed to correct these conditions. The customer decides what work is to be done. The Technician then completes the requested repairs and/or steering and suspension enhancements. 11. 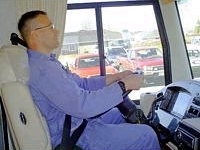 The Technician drives the coach on the RPA once again with the customer to verify that all work has been done correctly and is completely effective. Adjustments are made if necessary to assure the job is done right. 12. 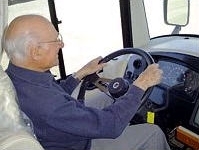 The customer then drives the coach to experience the difference under the same road conditions, and verifies the work has been completed. There is nothing more convincing than feeling and hearing improvements over the same bumps, curves, ruts, and uneven pavement experienced in the original test drive. 13. A thorough RPA diagnosis, with solutions that solve identified problems, makes for satisfied customers! 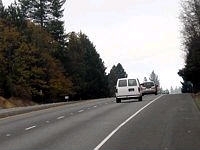 To make an appointment for your own Road Performance Assessment, please Contact Us.